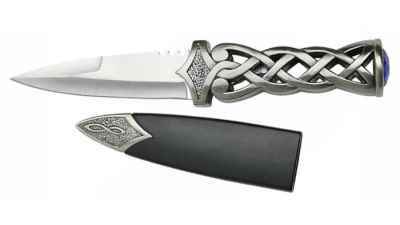 Celtic history goes back many centuries. The Celts culture and history was never written down but transmitted orally which accounts for the extreme lack of knowledge about them prior to their contact with the classical civilizations of Greece and Rome. The written history about the Celts comes from their enemies or by those who would rule them. Because of this, some of the best information of the Celts comes from archeological research. However, the bravery of the Celts in battle is legendary. They often spurned body armour and went naked into battle. 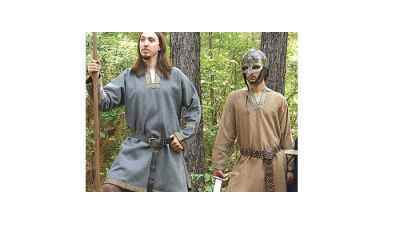 Celtic society was also typically more equal in terms of their gender roles. Women were viewed on equal footing as men, being accomplished merchants, warriors and rulers. 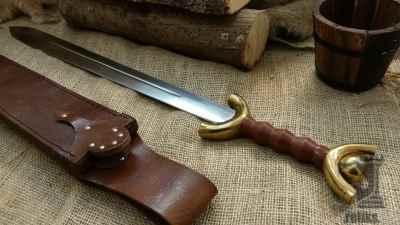 The Celtic culture was based around a system of honour, whereby warriors gained honour by valour in battle. 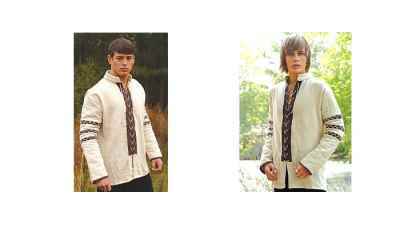 These are the finest viking tunics we have ever offered. 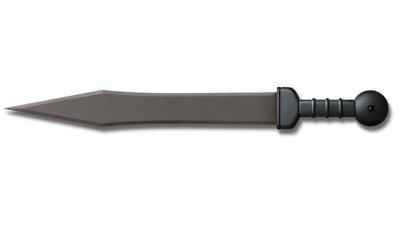 Hanwei's Celtic Sword has an anthropomorphic hilt and leaf-shaped blade. 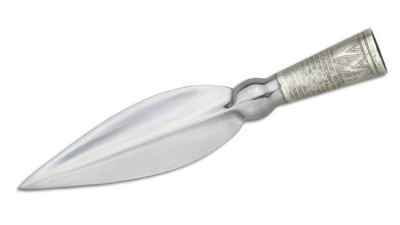 The Viking Short Bladed Spear is typical of those of Celtic origin imported into Scandinavia. 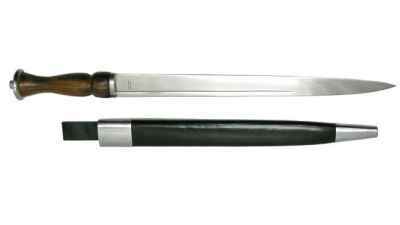 This early type of dirk evolved from the Kidney Dagger and was the first step toward the ornate Scottish Dirk we know today. 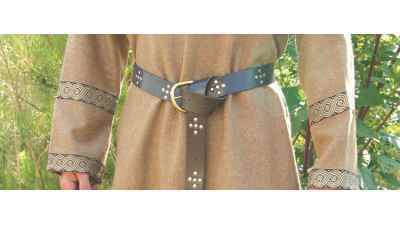 This truly fantastic long belt is made of a heavy grade, dark leather.